Everyone loves the snack with the great CRUNCH factor! April 26th is National Pretzel Day! 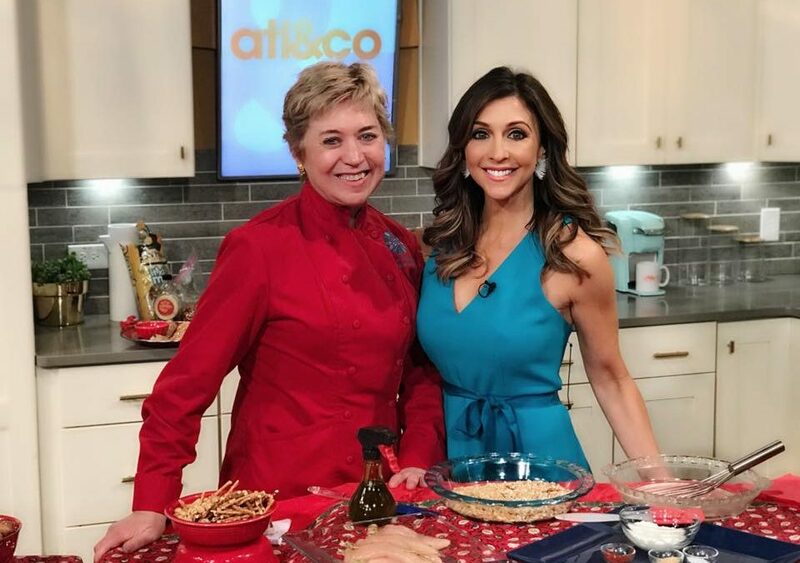 I’ll loved showing fun host Christine how to make two fun and creative pretzel recipes – one sweet, one savory! The phrase, “tying the knot”, was inspired by pretzels. In Switzerland, a newlywed couple breaks a pretzel on their wedding day and makes wish for good luck. Preheat the oven to 425F. In a pie plate, whisk together the yogurt, garlic powder, smoked paprika and salt. In another pie plate, mix the peanuts and pretzels together. Insert a skewer through the center of each chicken tender. 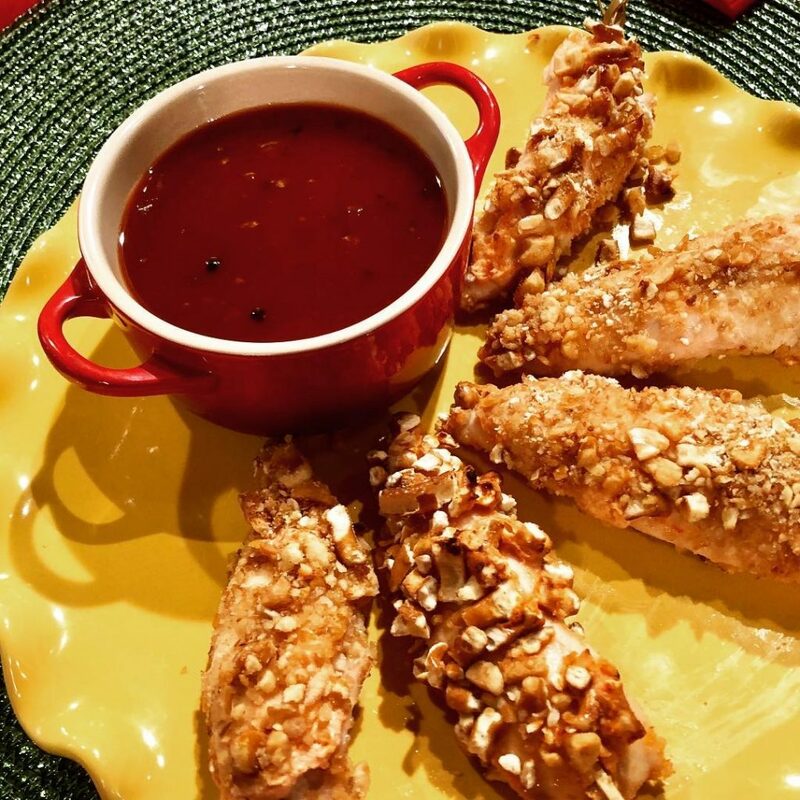 Roll the chicken tenders in the yogurt mixture and then in the cracker and pretzel crumbs. Place the chicken tenders on a well-sprayed baking sheet, and spray the tenders with the oil. Slide the oven and bake for about 15 minutes. or until the chicken has an internal temp of 165F. Line a 8 x 8” pan or dishes with parchment paper with an overhang of paper on each edge. Stir together the rice puffs, almond flour, salt in a bowl. In another large bowl, whisk the vanilla, maple syrup and almond butter together. Add the dry ingredients into the wet ingredients and mix until evenly combined – then stir the broken pretzels. . Add the mixture to the prepared pan or dish, and using the ends, pat the bars down as hard as you can. Place the pan in the freezer overnight, or in the fridge for at least 8 hours to set up. Slice into 12 squares. Keep leftovers in the fridge.